Today is July 12th and it is a very special day for the team at ManageWP. We are launching Orion, the platform we have been building for the past two years. Orion is ManageWP reimagined. It is the most comprehensive and most sophisticated software for managing WordPress ever made. Orion at its heart exist for a simple purpose – to give every WordPress professional equal opportunity to succeed. 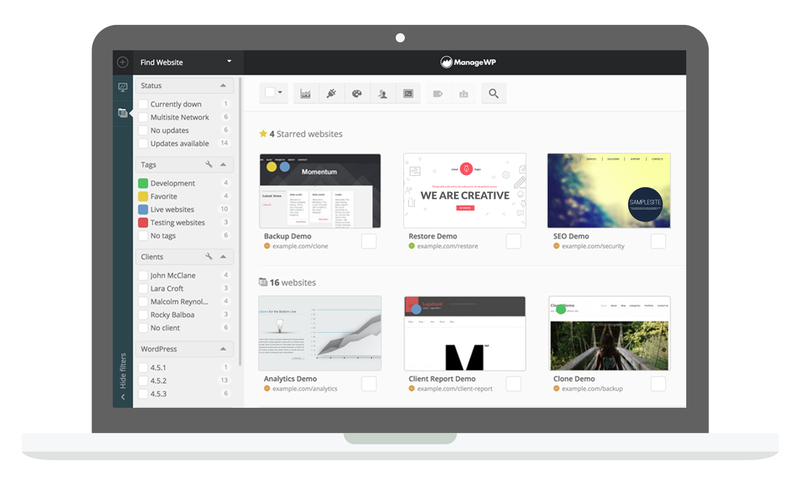 By bringing most powerful tools available to any WordPress professional or agency anywhere in the world into a single product, ManageWP Orion gives you the unique ability to focus on your work and clients. This day is also very special and emotional to me. If you have read the original three part ManageWP story you know that ManageWP classic launched just two days after my first daughter was born. It so happens, that ManageWP Orion launches two days after the birthday of my second daughter. I don’t want to tell you at this moment that Orion is perfect. It isn’t, and I could show you a product backlog that spans 1,000 items. You will notice glitches here and there, especially in the first few days following the launch. I just ask you to report them to us and do not worry. We are a team of nearly thirty people now and we have significant ‘firepower’ to deal with these in the upcoming days. What matters is that we have delivered on some of the most important goals. Like for example the Orion Cloud Backup. I can easily say that there is nothing like it on the market. We managed to achieve backup 97% success rate world-wide (up from 80% of ManageWP Classic and most other similar WordPress tools). Orion is also faster, prettier, easier to use, and scales infinitely (thanks to us becoming an Amazon Web Services technology partner). And tweets like this are the ones that inspire us to keep working on our product for you. Shoutout to @managewp . Your new Orion dashboard is freakin’ awesome! Love it! Instant subscription. OMG! Just looking at the fully live @managewp #orion dashboard and pricing. Absolutely epic. Per-site add-on pricing? A masterstroke. Let’s talk a bit what is in it for you. If this is your first time using ManageWP, just sit back and relax – Orion is simple and intuitive. Just add your first website and you are good to go. ManageWP is free for unlimited number of websites. All of them can finally be in one place. You will get a ton of free features to go with that. Oh yes, that includes a monthly cloud backup, absolutely free. There are premium add-ons available that you can enable per site – and most of them are only $1/month. Learn more about ManageWP premium add-ons. Learn more about ManageWP free tools. First of all we’d like to thank you for your loyalty and your business. It’s been 6 years since we launched ManageWP and I can probably speak for both you and us when I say that this has been an incredible journey. Let’s go through what is going to happen when you log into Orion today. Best way to look at Orion and Classic starting from today is as two separate products. You can use both or choose to use the one you like more. We will ask you which one you want when you sign in. Worth noting is that if for any reason you do not wish to use Orion at this point, you don’t have to. Simply use Classic as long as you feel more comfortable with it. When you login to Orion, you will be asked if you want to import the websites from ManageWP Classic. This will basically copy your websites also to Orion to get you started easily. Since Orion is free for unlimited websites you can start adding your other websites (these will not be mirrored in your Classic dashboard as it is a separate product from today). If you have an existing discount this will be automatically applied to you in Orion. If you do not have one, you will automatically get a 10% discount for every year you’ve been our customer in the Classic! (up to 30%). Thank you for your loyalty and business, we hope to serve your business needs for a long time to come. Legacy Standard does not have a matching Orion bundle. We’ve made all of the tools from this plan free, and the one that is missing (bulk add post/page) is for now exclusive to ManageWP Classic. After you’ve transferred your legacy subscription you can activate the premium add-ons covered by your legacy plan at no cost. The settings for these tools will not be transferred. If you were a user during the beta, we will automatically activate all tools that you already used and setup the bundles so that the cost is optimized. Feel free to experiment with activating add-ons. If you don’t see Legacy plan active in your account, please contact us through Orion and we will gladly assist. We will ask you for a credit card once in Orion. This is because we will be creating a new billing profile for you with our new payment processor (Stripe). 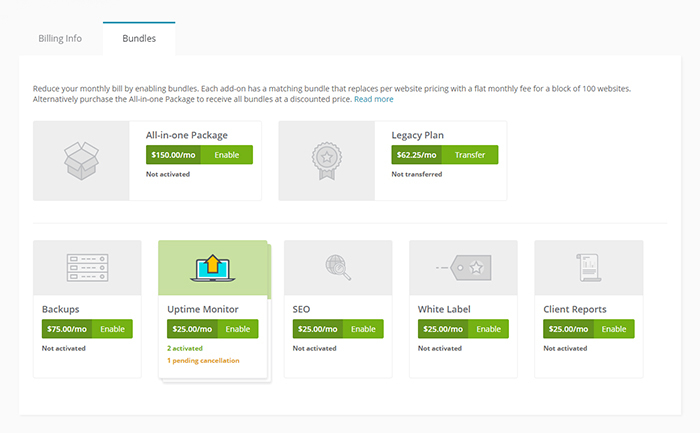 If you have more than 25 websites check our post about bundles to learn how you can use them to reduce your monthly bill in Orion. Orion is a game changer when it comes to running backups and restoring them reliably. We believe that a reliable backup should be a right, not a luxury, so we decided to have a lightweight version of the Orion Backup tool that automatically runs once per month, and lets you restore your website at any time. This is perfect for small websites that don’t have daily content updates, or websites that don’t bring in any revenue. It’s an insurance policy for those times when your regular backup plugin fails. All legacy Professional and Business users will get the premium version when they transfer their subscription for daily backup frequency (increased frequency can be added at extra cost per website). Learn more about Orion Cloud Backup. If you haven’t tried these yet, you will fall in love immediately! We’ve broken down the Client Report into free and premium add-ons as well. All legacy Professional and Business users will get the premium version when they transfer their subscription, including all the features that are coming after the launch. Only $1/month (or $25/month for up to 100 websites with bundle). Learn more about Client Reports. The Orion SEO tool is the right choice for you if you are tired of bloated SEO tools. Enter the keywords you want to track and you are done. You’ll get a simple report (that you can include and send to clients) with competitor rankings that are automatically tracked. Only $1/month (or $25/month for up to 100 websites with bundle). Learn more about SEO. Websites sometimes go down. Catch these events before they damage the business with ManageWP Uptime add-on. Only $1/month (or $25/month for up to 100 websites with the bundle). Learn more about Uptime Monitor. 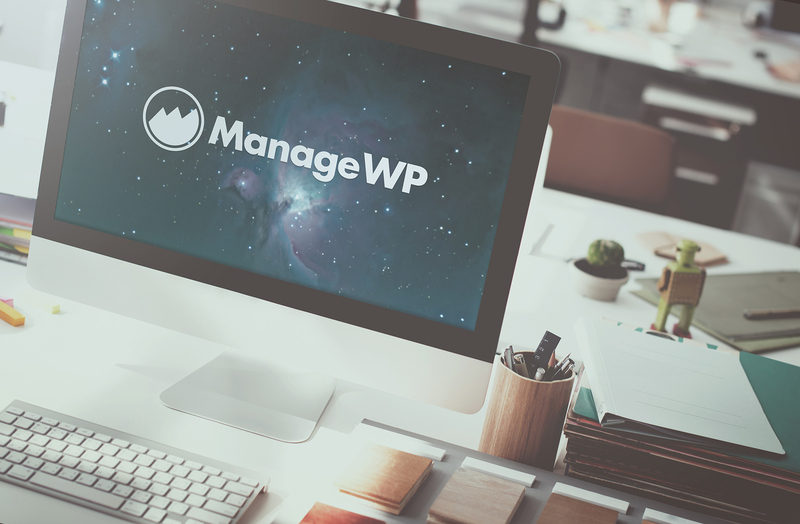 Make ManageWP your own. Customize the branding as well control the aspects of your client’s website. Only $1/month (or $25/month for up to 100 websites with bundle). Learn more about White Label. We are going to be listening to your feedback with fervour, so please keep it coming. ManageWP Orion – you rule! As a ManageWP Classic customer i was a little confused about the pricing model at first, but your service-team responded really quick to my emails to help me. So after some days Orion and me became very good friends. Any update on the progress of the automated reports, security and performance checks? More so the reports but the others would be nice as well. It states they are next on the list, however, been some other nice features that have come out since, just want to check in to see if these went to the back burner or if they are coming really soon. They’re in the works, so you can expect two of them, if not all three, in September. Hi, I’m a new user of the platform and loving it. I’m also a frequent app-user. So I dowloaded the ManageWP app but I can’t seem to log in with my current ManageWP Orion username and password. Any suggestions? I had stopped using ManageWP simply because I had more sites to manage than I could afford. I happened to tell a friend about ManageWP and logged into my old account to show him and discovered Orion. I immediately migrated and began adding all of my websites. I’m also in a position to afford more of the services now that they’re on a site-by-site basis. Brilliant move, ManageWP! Thanks for such an awesome tool. clone process are only if i activated premium backup. thats very bad. clone is a one time action. so i must activated for every project on our demoserver and resign after clone because we need no premium backup for the project on the demoserver. You can activate the $2 backup for 1 day which would cost you around 10 cents per website, if you decided to use the clone tool. It’s not very expensive if you want to use the clone in that way, and the only reason we did this was because we wanted to make sure that everyone got a free version of backup for their Orion websites. Are you saying that my pricing is going to change if I switch from Classic to Orion? I only have 5 sites that are being monitored at present but have others I could add. Will that change my pricing? You can transfer your Classic plan to Orion which means you keep your old pricing. Or depending on what you need on your websites you can choose to try out our Orion pricing. You can only add new sites to Orion, so you will have to use the Orion pricing for all new site additions. However, bear in mind that we offer more free features in Orion, than we did in the Classic, and you can add an unlimited number of websites for free. Hi, we kept being told about Orion, but as a basic user, I can’t seem to find where to upgrade to Orion. When I click on upgrade or “order” in my managewp control panel, it still shows me the old pricing plans. and when I click on the orion control panel, it just tells me that only Orion users are allowed access, but doens’t tell me how to upgrade. Please help. Apologies for the late reply. I had a quick look, it seems you haven’t even logged into Orion and gone through the on-boarding process. Go directly to https://orion.managewp.com and from there put in your email address. That should let you do the on-boarding and from there you should be able to make the most out of Orion. Brilliant 🙂 If you have any other problems just let us know! Wow! This looks neat. I had an account, but was not using much, will give it another try. Good work guys! 1) Is there any way of getting the same kind of email that ManageWP classic sends out? That is, which plugin needs to be updated and on which site? The report from Orion is only number of plugins over all the sites that needs updating. 2) What happened to groups when the data was transferred to Orion? Don’t see any groups there, but there are labels. Would have been great to be able to group sites in Orion too (without having to set it up from scratch). 1) We have the product digest in ManageWP Orion, that must be what you are referring to. We don’t send you individual number of plugins that need updating, but in the product digest on each section, you can click take me to my dashboard and it will directly take you to show you what plugins need updating. Although, thanks for your suggestion, I think that is something we can introduce for the future. I hope I was able to answer your questions, if there is anything else that’s unclear please get back to me. Hi – are there any plans to allow for bulk performance and security checks? Hey Charlie. Yes to both 🙂 They are on our to-do list, we are just doing one by one. It should be available pretty soon. Hey thanks for the support. Yes, managing plugins isn’t there yet so that’s why you can’t find it. 🙂 With the launch and all, we are taking it slow to make sure everything is working perfectly, the feature will be out very soon! Apologies to have to keep you waiting! Sub Users don’t have access to the Orion dashboard anymore. Is there a different way to set this up? It should work as before. I have asked one of the developers to look into this. They will double check it all and should get it working. If it doesn’t work for you by end of tomorrow, put in a ticket to our support team. Great job ManageWP!! The final version of Orion looks amazing. I have to say, now that I am able to finally see the new pricing/billing in the dashboard it makes SO much more sense, especially how the backups are going to have a scaling pricing. Two things you may want to make clear, on the Add-ons page it doesn’t display I am getting my Loyalty discount although I can tell I am based on the numbers. Also, it appears there 2 charges that are in addition to the basic/bundle pricing and they are the scaling backup pricing above the $2 per day and also the backups to external locations. Maybe they could be displayed on the Add-ons page as that seems to be the best summary of billing/expense I can find? Glad you are enjoying Orion, and thank you very much for your suggestions. I have passed them on to our product team! Keep telling us all of your impressions, thank you! Great job everyone, I love the look and feel of Orion! I am pretty new to ManageWP and maybe this is how it was with the old interface too but I have a question. I am not able to add multisite subsites that are using a domain mapping plugin. I have put in a support ticket but was wondering if anyone here had any quick answers? Glad you like Orion. Regarding multisite, for now we don’t support multisite, where the child sites have a separate URL from the parent site. You have done the right thing by putting in a support ticket, the guys (and gal) will help you get started with multisite asap. Orion is awesome! Great job to the whole team. Well done! Congrats on this — very exciting. We have been throwing around the idea of using MWP on our sites, and now Orion makes this all the more enticing. Quick question though, on very large number of sites, does the premium backup fee change at all? In other words, is it $75/mo/100 sites no matter how many sites? so 500 sites would be $75×5? Or is there a further bulk discount planned or available? thanks for your question. We for now don’t have bulk bulk discounts, in other words unless you have loyalty discounts or other, you would get 5X75 for 500 websites. Great job, team ManageWP! And a job well done for bringing all of us along with you on the journey! While any new or improved product is inherently exciting, it can bring anxiety for the users and, therefore, to you. You guys, however, have done a remarkable job of being transparent and giving all of us time to process the changes that are now live. That’s not just great customer service, that’s great leadership! You guys (and gals!) inspire me (and I imagine others) to step up our game as business owners. Hey Kenny! Thank you for your positive feedback and we can feel the love 🙂 Glad you are enjoying Orion, and any questions you have you can contact us. Thanks again for the ongoing support! Congratulations, ManageWP team and Vladimir. I think Orion is an incredible update to ManageWP dashboard. 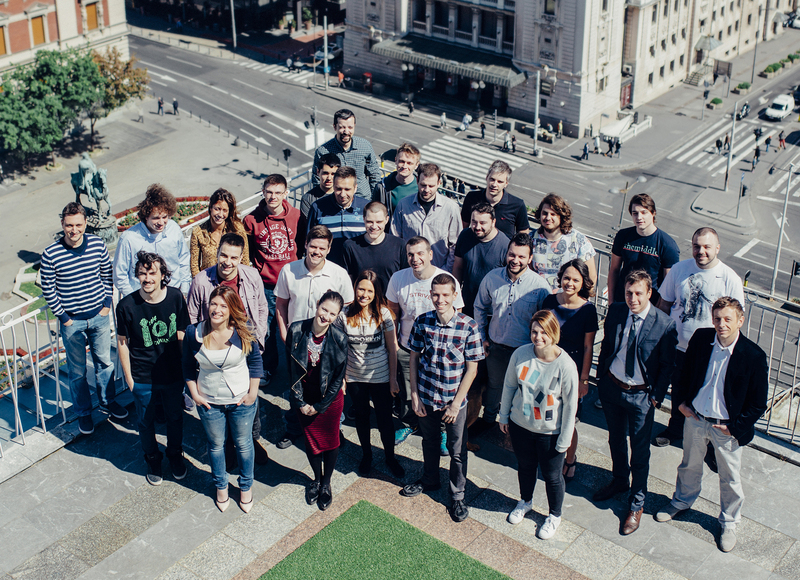 I have hunted (shared) it with the ProductHunt community. Make sure, you guys add a customized ProductHunt welcome or something like a discount from ProductHunt visitors (URLs with ref=producthunt) it helps with the conversion. Ian, great question. Orion is the new ManageWP… in a month or so, it will be THE ONLY option available to you. In fact, it may already be the only option available to you, as a new user. Rest assured, whatever it is technically called, or what you want to call it, it will be AWESOME. I can’t believe they are giving away as much as they are! Thank you! We are probably going to leave the Classic product as long as there is enough interest to keep it going. Yes! Super excited for the launch date. I can’t wait to get home and log into my dashboard to transfer over from the classic 🙂 It’ll be nice to log directly into Orion. Plus now I’ll save money on Pro Bono websites. Hi guys I have been tracking ManageWP for a while and waiting for Orion to come out, as I am looking to manage 5 WP sites in one place. One thing that still confuses me a bit, is Orion a new version of ManageWP or a different product altogether? As someone signing up for the first time am I signing up for Orion or ManageWP or ManageWP Orion version etc. I am guessing it would become clear during the sign up process? New users can sign up for Orion only – it is our bet for the future. Old users can use both the CLassic and the Orion dashboard whichever one they prefer until they are comfortable with the transition over to Orion. Well done Vladimir and MWP team! Orion has become such an important and indispensable part of our team’s workflow so we can get more done in less time. Couldn’t be without it. It’s awesome. Thank you Simon, support like this really keeps us going! Well done guys and girls! Congratulations on Orion launch. I am very happy and excited about your final version (Well a lot of updates will come). But i am surprised about charges for sub-domains. I thought sub-domains will be free as they were in classic version :). I have read every article about pricing explanations and may be i miss that (Sub-domains) point. Can you please guide me further?